Non-fiction authors often reference particular programs or processes they use in their work. Many times these are proprietary and may warrant registration as trademarks. Using the exact same form of the names of these elements becomes important legally if you want to claim trademark. One of the easiest ways to tackle the hundreds of things that can be handled in more than one way is to use an established style guide. Journalists writing for magazines and newspapers typically use the AP Style Guide. Traditional publishing usually follows the Chicago Manual of Style. If you are self-publishing and want to be viewed as similar to traditional publishing I recommend that you start with Chicago Manual of Style. Both of these are encyclopedic books with thousands of entries that establish standards for just about any instance you can imagine. Their purpose is to establish consistency across a large body of work. Using an established style guide that you then list the “exceptions” you will follow is a good compromise. As your book moves through editing, having a style guide that you have listed the terms you use to give your copyeditor will be very useful. The copyeditor will add terms to it as they encounter them and then the style guide can be passed on to your proofreader to further communicate the consistency. Just as an editorial style sheet is important to maintaining consistency in a book, the same concept can be applied and expanded for your business in general even if you aren’t writing a book. 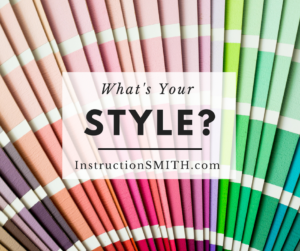 Your style sheet can become the basis for the consistency of your visual branding. In addition to listing the terms and their forms you will use in your business and the general rules you will follow in your written communications, you should also include a color pallet for your business and any graphics that you use as part of your brand including logos, headshots and other supporting graphics. Having all of this information documented can help maintain consistency of your brand as you grow your business and have other people working with you.